Multiple GRAMMY® Award winner Jason Mraz is bringing his Good Vibes Tour to Shanghai. The exclusive one-night only concert will take place at Mercedes-Benz Arena on 15 May, 2019. 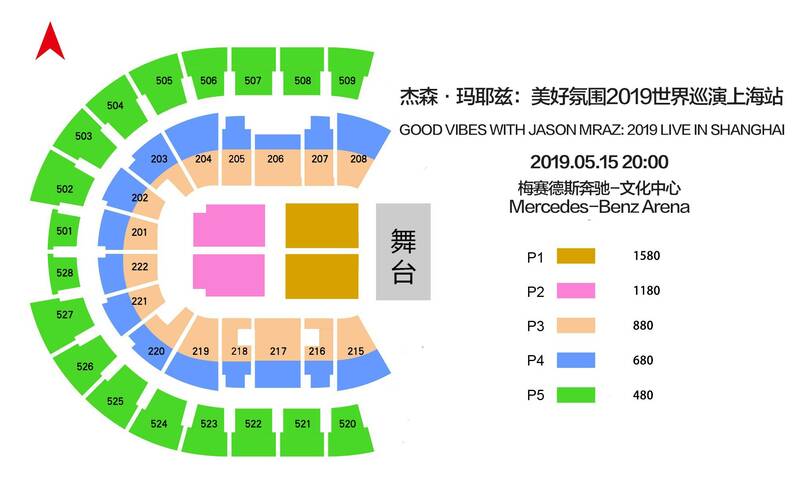 Tickets to Jason Mraz 2019 Live in Shanghai start from RMB 480 will be available for public on Jan 18 (Friday) at 10 am. Following a recent one-off show at Singapore’s National Stadium (October 27th 2018), Mraz will kick off the whirlwind set of shows in the Philippines capital of Manila on May 8th, bringing his brand of soulful folk-pop to Shanghai, Singapore, Hong Kong and Bangkok, rounding off the performances at the Taipei Arena on May 25th 2019.